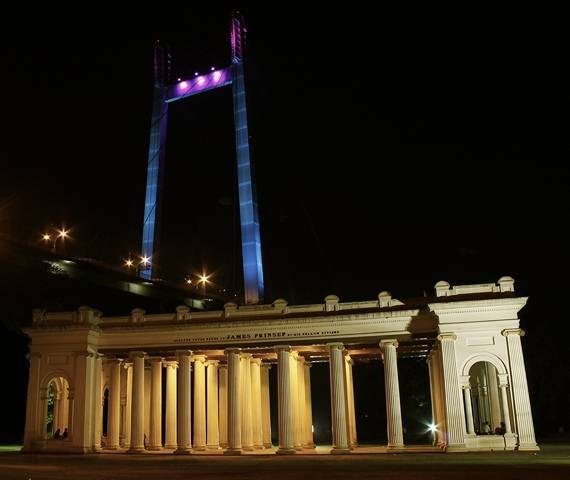 Princep Ghat is located on the banks of river Hooghly. This river front was built in 1841 in Greek Palladian architectural style. The river front was built to honor the most prominent British orientalist named James Princep. He was the one who cracked the inscriptions of Ashoka, the King. The stretch from Princep Ghat up till Babu Ghat was beautified with green gardens, stones pavements, fountains etc. Visitors can also take a boat ride at Princep Ghat. One can indulge in street food available at lot of eateries in Princep Ghat.